We all remember the summer holidays back in the school days, irrespective of the scorching heat there is always some way or the other we engage ourselves. May month is more of a holidaying month where most of us as families travel to our hometowns. To break the ice vacations are incomplete without visiting a vacation spot. Have you always wondered to go off to some hill station to beat the heat, we have India explored and have come up with a list of places to visit in India during the summer. The capital city of Sikkim, Gangtok has many places to visit in the month of May in India that would make you go wow. Harbhajan Singh Mandir, Changu Lake and Nathula Pass are some of the wonders that is a must watch. 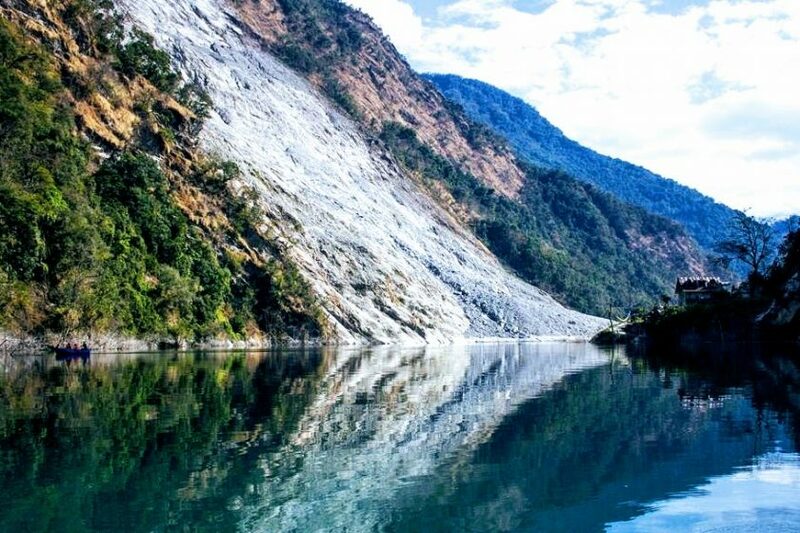 Though these places are a little away from Gangtok, if you take a step of going there you would definitely enjoy it. The roads in Gangtok are simply well maintained. North Sikkim is famous for the scenic views of Mount Kanchenchunga and is situated in a place called Dzongu. Do visit these places even if you are near to any of them. A beautiful hamlet that is located in the Sutlej Valley is Sarahan, which is at an average height of 2165 meters i.e above the sea level. This place comes from the Simla district and is highly famous for its apple orchards, slate-roofed houses and small streams. Bhaba Valley and Bird Park are some of the major attractions of this place. 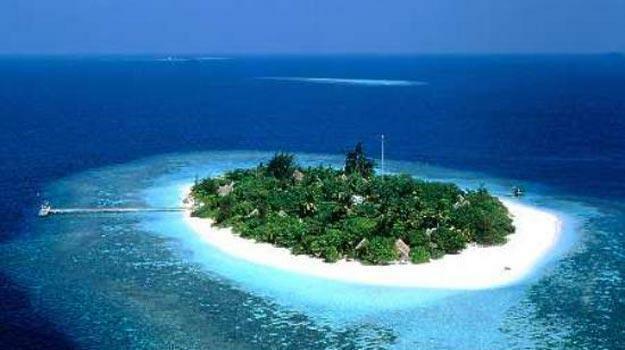 A must visit for every vacation lover with a group of 36 islands, Lakshwadeep Islands is a delight. It is considered to be as one of the best places in India to visit in May. The cleanliness of the water here is something that is justified and it is also marked by sandy beaches and coral reefs. With a massive touch of greenery, it makes a perfect vacation for anyone looking out for peace and freshness. Living corals, seabirds, eels, swordfish and various types of triggerfish are a common sight. The Marine Museum is also one of the famous places which are a must visit. Situated at a height of 6000 feet Munnar comes under the Idukki district. 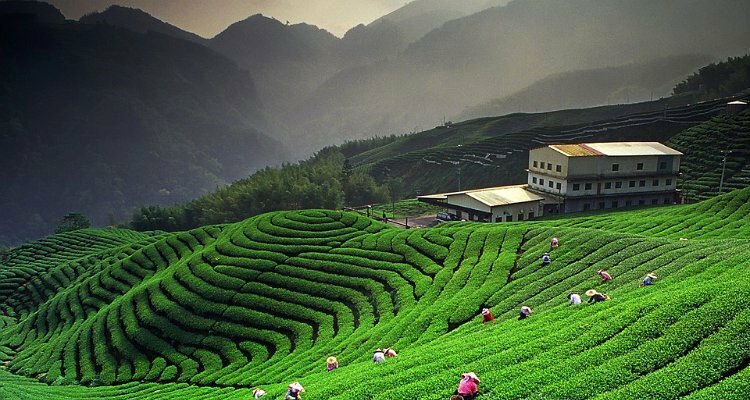 With a vast expansion of tea plantations and valleys with exotic species of flora and fauna, this hill station offers any person especially tourists a good overall experience. It has one of the finest wildlife reserves in India with elephants being the main highlight. The Periyar Wildlife Sanctuary is an attraction for many of the tourists and is a must go. 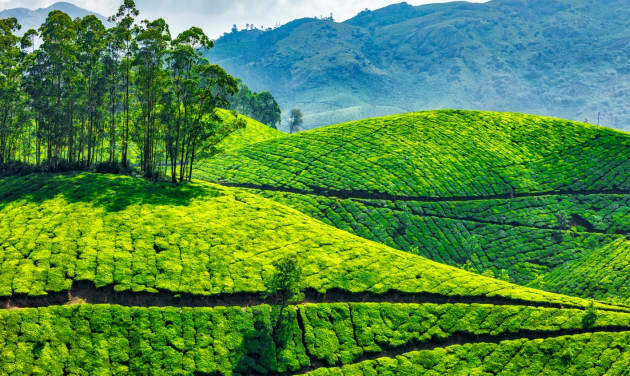 Munnar is considered as one of the best tourist places in India. 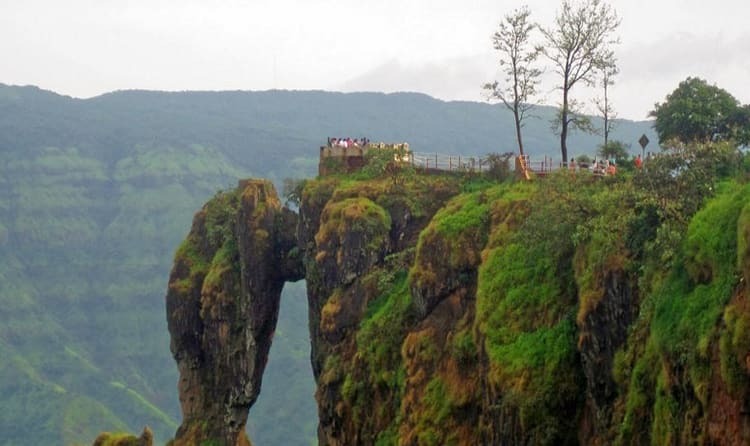 Famous for its raw nature Mahabaleshwar is again another hill station surrounded by some really magnificent views. This place is bound by some beautiful valleys and greenery on all sides. It is also known as the Queen of Hills of central India, where Mahabaleshwar is one of the best places to visit in India during summer. It is also considered as one of the best tourist places in India. The famous places here are Venna Lake, Lapro Garden, Lingama Falls. Wilson point is one of the best spots here to witness the sunrise. 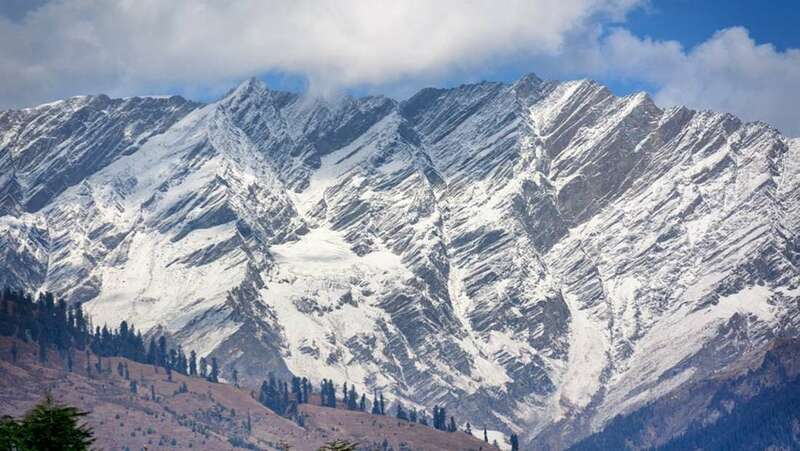 Manali is every traveller’s spot and this place thus never fails to disappoint. One of the best places to visit in India in May, this place always makes an impression and leaves you awestruck by the end of it. 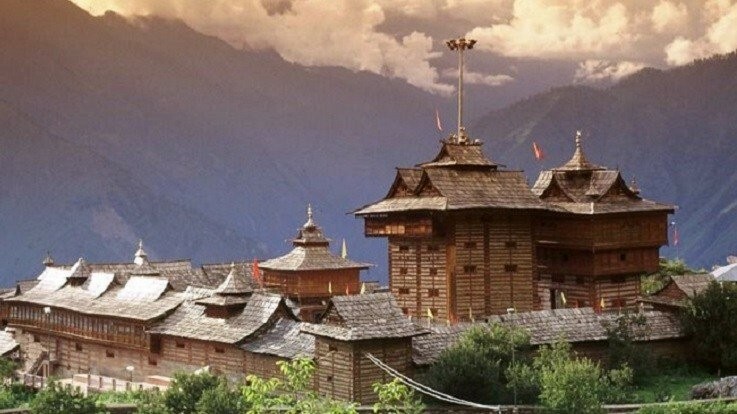 Thick forests and some really cool breeze this hill station has major attractions that include Hadimba Temple, Solang Valley and Club House. A perfect place for a weekend getaway with friends and are mostly visited by bikers. 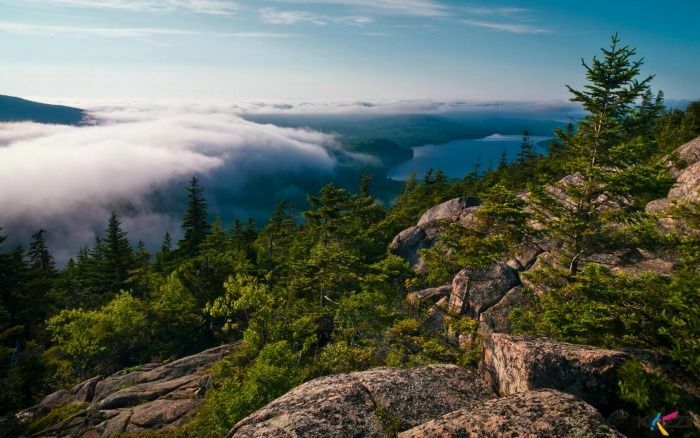 This is almost every person’s bucket list and also watch out for its amazing scenic view. One of the best tourist places in India, Kausani in Uttarakhand is perched at a height of almost 1800 meters above the sea level. Offering some of the best views of Nanda Devi Hills and Trisul, where majority you also get to witness the sunrise over the Himalayas which is a must experience for everyone in Kausani. Some of the other places to visit are Rudradhari Falls, pear farms and tea estates. The beautiful mountains in this region are a complete joy to watch. As you explore this place you will find many legal and illegal coal mines while you travel from Cherrapunjee to Shillong. Shillong is the capital of Meghalaya and is one of the beautiful towns in India. This is the only place in India where you find taxi drivers sitting on someone’s lap and driving. Here you will find women doing most of the business than men. There are many scenic viewpoints, mainly views of Bangladesh from both Cherrapunjee and Meghalaya. Mawlynnong is one of Asia’s cleanest village. These are some of the places that will literally make your jaw drop. This is one of the best places to visit in India. This is again of the most scenic and one of the best places in India. Horsley Hills is a paradise when it comes to a good break from the town and its heat. A very nature-friendly place, this is a must visit place for any traveller who loves trekking. The way to these hills is panoramic too, where you find Mahogany, Sandalwood, Gulmohar trees that line the road. Again this place is famous for its adventure sports which mainly includes zorbing, rock climbing and trekking. A perfect place for a tour of sightseeing in Andhra Pradesh. Considered to be as one of the most unusual hill stations in India, Tawang is where adventure sports are found in plenty. 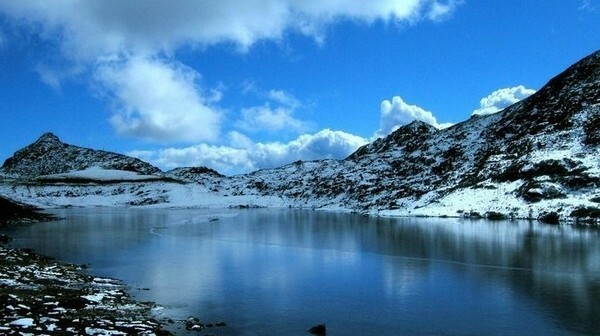 Whether it’s hiking, skiing or trekking, Tawang is one of the best places to visit in India in May. This is situated at a height of about 10000 feet. This hill station reaches out to your soul from Tibet to its northern side Sela range to the east and Bhutan to the west. Tawang has many amazing valleys with some out of the world scenic views. Nuranang waterfalls and Bumla pass are places that are a must visit here and is one of the best places to visit in India.